Watchmen is an epic graphic novel writen by Alan Moore and illustrated by Dave Gibbons. It has won the Hugo Award and is regarded as one of the best graphic novels ever written. For many years it was considered as being unfilmable but that didn't stop Hollywood from trying to adapt it into a film. All past efforts though, resulted in failure and Watchmen was stuck in development hell. 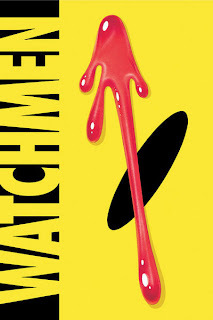 You can read a great article on the various developments of Watchmen and possible future problems with a war between Warner and 20th Century Fox about the rights to the film, here. Then, in 2006, Zack Snyder came along and made a huge succes with 300, which was based on another comic by Frank Miller. The box office numbers of "300" made the big wigs at Warner, confident enough to entrust Watchmen to Snyder. Being a fan of the graphic novel, I, naturally, have a great desire to watch it on the big screen. As I'm sure that the visuals of the film will be fantastic (watch the trailers in glorious quicktime), my only concern is if Snyder can capture the true essence of Watchmen. Unfortunately the film is a few months away from release, so I can do nothing but wait to discover the answer to my question.